Vocalist Bill Reill, writer/keyboardist Jeff Johnston, drummer Steve Gerlewych and guitarist Geoff Polegato first emerged in 1984 to form the band Act 1 and focused on their musical efforts for more than six years before taking a break. 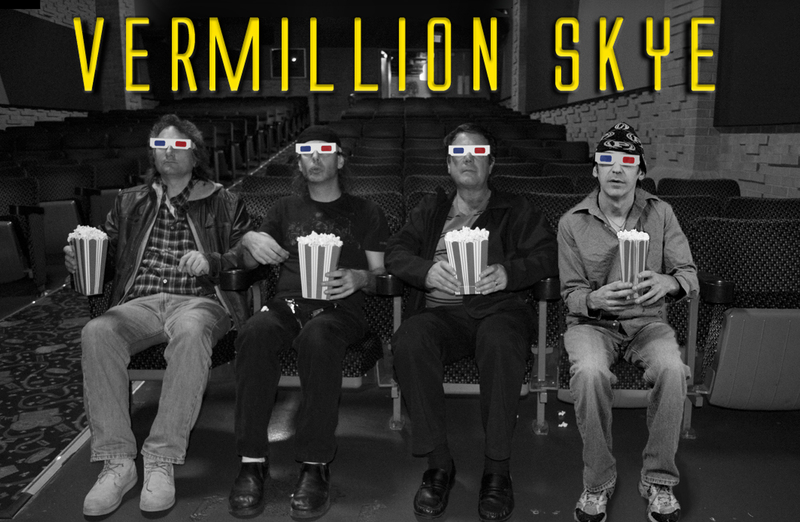 The four founding members re-united in 1996 and embarked upon a new brand, “Vermillion Skye”. Bassist Chris Robertson (currently also a member of Anvil) joined to collaborate as a member of the group and a creative chemistry quickly ensued. The band began recording original material and produced their first studio project, “Random Kinetic Overtures” in 1997. The album, which was recorded at Q.E.D. Media studios, is reminiscent of 70’s classic rock, included guest appearances by Michael Hanson (Glass Tiger), Gary Breit and Kevin Breit. In 2001, the band completed their second concept album, “The Dream Sequence“, based on a series of dreams in a night and their interrelation. This album marked the beginning of Bill Reill’s dual role of producer and vocalist. Recorded at Bill’s studio (Imagination Works – Mississauga, Ontario), this sophomore release garners the band’s diverse set of melodic styles that are demonstrated in the simple piano techniques of Cruel Life, the straight-ahead rock-and-roll sounds of Nothing Wrong and the unique progressive African rhythms of Tanganyika. After finishing their second CD, the band invited long-time friend Dave Brolley to join Vermillion Skye permanently as their live-guitarist. With him, the band created their epic opus “Industrial Poetry” which was finished in 2009. Produced again by Bill Reill, the album comprises a rock opera that follows the music career of a tragic fictitious character. The title of the album comes from a line in one of the 17 tracks The Lowest Common Denominator, which refers to the paradoxical mass production of works of art. In 2013, the band released their fourth album, “Tree of Spiders“, which was the final collaboration with Bill, who left the band to pursue other interests. The album features the singles King of Humble and Ghosts of New Orleans. Former guest-guitarist Pete Swann was enlisted in 2014 to record and produce their fifth and most recent work, “Security Theater” at his Attitude Productions studio in Aurora, Ontario. The album chronicles the various aspects of security and insecurity; moreover, it features the debut of Jeff as lead vocalist. The album’s stand-out songs include evocative melodies such as Stone Cold Love, Panic Attack and They Get to You. The line-up for Security Theater went back to work and created the band’s 6th album: Zebra Mentality for 2018. Pete Swann again assumed the role of producer, recording engineer, and guitarist while Jeff made his sophomore debut as lead singer in addition to composing. This album like all the others is a little different. As always, progressive elements are incorporated but the songs are easy to listen to, regardless of length. The album takes a look a human herd mentality such as fitting in, playing the victim, and watching others in peril and thinking “better them than me”. Highlights include Tottenham which is based on the London riots of 2011, Pecking Order a song about self-entitlement, Aryanna, and the title track Zebra Mentality. There’s even a Blues tune with a 7/4 time signature that anyone could dance to. From start to finish, the album delivers vibrant and remarkably engaging rock music while showcasing the band’s talent for innovation. With six albums to their credit, Vermillion Skye has evolved hugely since the early years and continues to focus on recording new music. The band will continue to stay true to their roots, blending meaningful lyrics with creative musical passages and haunting melodies to produce something distinctly different yet undeniably Vermillion Skye. For loyal followers of the Skye, the road will be long and scenic for many years to come.